The details of the new policy of the IC industry are exposed, and domestic and foreign companies benefit together. On April 1, 2005, the iconic policy of the semiconductor industry was launched for nearly a decade. The relevant provisions of the semiconductor tax reduction policy in the 18th document were declared final. The United States and other countries have always believed that the chip tax reduction policy in the No. 18 document violated the WTO principles and attracted Sino-US trade disputes. In the past year, the country has also gradually abolished the tax reduction policy of the IC industry. At present, it is considering introducing a new policy to replace the original policy. The new policy will support the chip maker's manufacturing operations and encourage innovation activities, while at the same time not attracting dissatisfaction from other countries' semiconductor industries. According to the news, the Chinese government will issue a plan in the second half of 2006, which will include research and development tax reduction (combined preferential policies for credit and tax reduction), IC fixed capital equipment tax exemption, and special fund support for IC design arrangements. The small and large companies engaged in chip design provide financial support, etc. Officials of the China Semiconductor Industry Association (CSIA) have said that the Chinese government will set up a special fund to support the IC industry, and invest in funds of US$12-25 million in the first year. Then expand the size of the fund year by year. After almost causing the United States to complain to the World Trade Organization (WTO), China agreed to cancel the VAT for semiconductors in April last year. The US side believes that China's tax rebate policy has caused foreign chip makers to face discriminatory treatment in taxation. Although Chinaâ€™s tax rebate has caused dissatisfaction in the United States, the practice of bringing benefits to Chinese local companies has also been controversial. The main complaint from local companies is that the VAT refund application process is cumbersome and often beneficial to large capital-intensive companies such as SMIC. SMIC executives often say that this is one of the reasons for producing ICs in China. Like the original VAT policy, the new policy will only benefit the IC industry. CSIA officials said that foreign companies can also enjoy the benefits of the new policy, and companies that apply for funds do not have to provide equity. CSIA officials said that after a recent professor at a prestigious university developed a fraudulent act of DSP with independent intellectual property rights, the government is studying a better mechanism for monitoring investment. â€œIn the past, the government was supervised through application, approval and project acceptance,â€ he said. â€œNow we will strengthen oversight of the entire process of the project, focus on capital flows and whether the company follows the original plan.â€ He added that several organizations conduct periodic surveys, including the Ministry of Information Industry, CSIA, and professors from universities. . Although these new policies have not yet been officially released, China's IC output is still growing at a 54% rate, almost double the growth of the entire electronics industry, compared to 30% last year. 60% of China's IC industry is concentrated in IC packaging, and relatively speaking, there are relatively few IC design fields. Chips imported into the Chinese market include CPU, DSP and other ASSPs, mainly for PC and mobile applications. According to the statistics of Information Network, in 2005 China's IC output value totaled 45 billion US dollars, while the independent output value was only 9 billion US dollars. In addition, China's IC supply and demand gap is expected to expand from the previous 36 billion US dollars to 44 billion US dollars in 2006. The authenticity of this information has not been confirmed by the international electrical network, for your reference only. The wire connector is ideally suited for all types of cable splicing needs. Use simple tools and small splice bundle. Cable Connector have 3M types and Tyco Types to select. Also have tool-less gel filled connector and with tool punch down connectors. 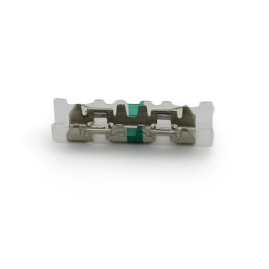 â€“ Designed and built around proven Insulation Displacement Connection (IDC) technology and manufactured using best practices, Wire Connectors can endure harsh climatic conditions. 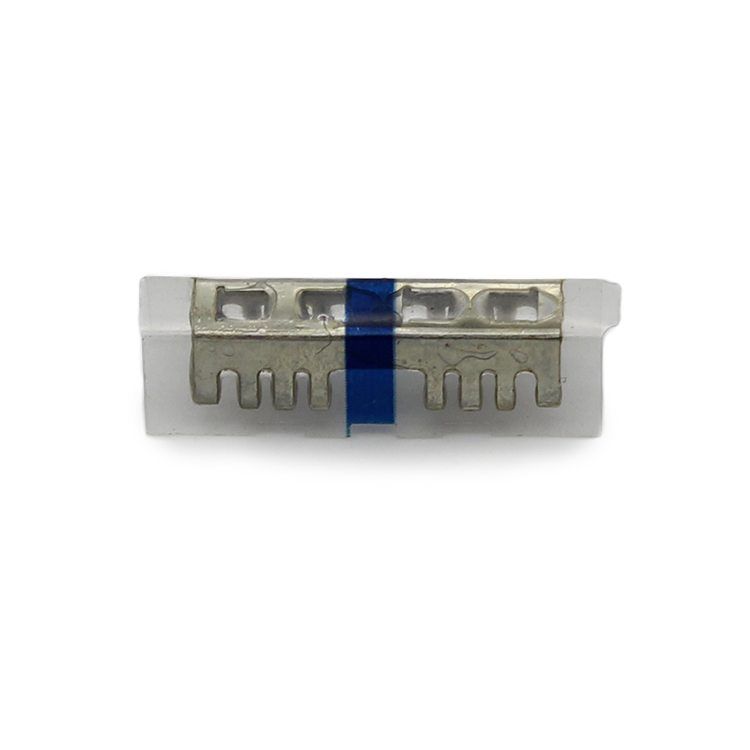 â€“ A single crimp displaces the insulation and provides a cold solder equivalent connection, delivering low contact resistance. â€“ cable connectors are available in different types and versions for all your splicing applications and solutions. 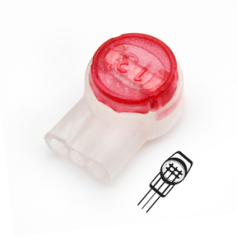 â€“ The connector covers are color coded for easy identification. â€“ The new series with increased port hole size and double contact design, offers the advantage of full wire range. 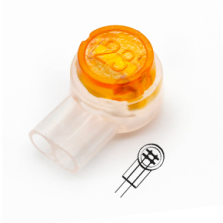 This is a tool-less gel-filled connector, making it easier to use and resulting in less corrosion of the connection, which improves stability for the end customer. This results in increased broadband speeds and reduced line faults. The connectors do not have test access ports, however they can be easily opened and re-opened by hand for testing. A: Yes, we could offer the sample for free charge but pay the cost of freight. A: Payment<=5000USD, 100% in advance. Payment>=5000USD, 30% T/T in advance , balance before shipment.